In March 2011, the coast of Japan experienced one of the most devastating tsunamis to ever hit a populated industrialized economy of this magnitude. But the forces that drive a tsunami come as a result of shifts that occur beneath the surface of the water, not visible when the cause triggers the effect above the sea line. This event became one of the most documented natural disasters in history due to two things. The first is the advancements in meteorology that signaled the massive 8.9 magnitude earthquake along a huge stretch of Japan's north-east coast and personal technology that allowed real-time media capture for anyone with a modern day smart phone. This real life tsunami is really a metaphor for what occurs beneath the "sight line" of our health plans everyday. It's also why pouring through outdated historical experience to project future costs is as outdated as the "old midpoint trend method we all learned in underwriting boot camp. To have a more accurate line of sight into your health plan, you will want to collect three primary components: 1) first is to leverage a firm that can gather your firm's claims in a longitudinal data analytics warehouse. This helps identify key drivers of health costs and gaps in care 2) second is to get a baseline of biometric measures on the greatest number of engaged participants. This helps identify certain health risks factors of an individual, and 3) the final ingredient comes about by gathering self-reported health assessment responses to gauge lifestyle related factors missed by the other two components. When you have all three, Dee Edington's (PhD, Health Management Research Center, University of Michigan) research confirms an accuracy rating of between 70-85% predictability in identifying low, medium and high risk individuals three years before they manifest. Our firm utilizes the InfoLock system comprised of 1.3 million individual's claim records over a multi-year look back period that helps our health risk management and clinical staff identify cost drivers and gaps in care. Once your HIPAA compliant business associates can identify these individuals, your organization can begin aligning the health of your people with the health of your business. 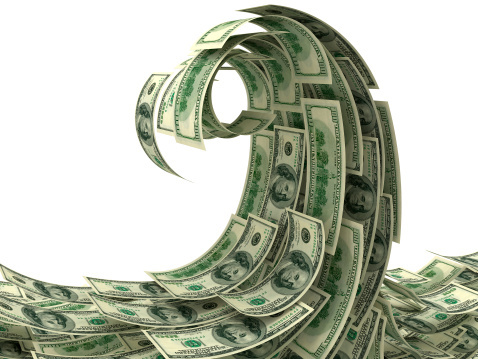 Health management programs must be data-driven and evidence-based, otherwise you could find the waves crashing over your head with escalating trend. If your interested in learning which health carriers our InfoLock system automatically interfaces with please submit your question through our "Contact" section to learn more. This year health care costs are expected to rise by more than double the rate of inflation. HSAs and FSAs provide individuals with opportunities to put away tax free savings for everyday medical expenses. When Congress first made HSAs available, these plans only covered 454,000 lives. Today, more than 10 million people are covered under a health plan that is eligible for an HSA. U.S. Senator Orrin Hatch (R-Utah), Ranking Member of the Senate Finance Committee, today unveiled the Family and Retirement Health Investment Act of 2011, bicameral legislation to strengthen and expand Health Savings Accounts (HSAs) and Flexible Spending Arrangements (FSAs) for American workers and retirees. Companion legislation was introduced in the U.S. House of Representatives by U.S. Rep. Erik Paulsen (R-Minn.).The Family and Retirement Health Investment Act of 2011 will streamline these health care products and simplify them for American families, seniors, and entrepreneurs. - allow a husband and wife to make catch-up contributions to the same HSA; - remove the onerous new restrictions on the use of HSA and FSA dollars for the purchase of over-the-counter drugs; - allow individuals to roll-over up to $500 from their FSA accounts; - clarify the use of prescription drugs as preventive care that will not be subject to an HSA-eligible plan deductible; - reauthorize the use of Medicaid health opportunity accounts; - promote wellness by expanding the definition of qualified medical expenses to encourage more exercise and better diet; - allow seniors enrolled in Medicare Part A to continue contributing to their HSAs; and - allow for the purchase of low-premium health insurance and long-term care insurance with HSA dollars. We are witnessing an adoption rate of HSAs that is tracking with similar "hockey stick" patterns experienced by 401(k)s when first introduced. While this is not a cure-all for the fee for service sick care delivery system, we applaud efforts to better align trade offs that improve tax efficiency in health plan design. It is gratifying to see a health insurance company not act like one when it comes to traditional stodgy branding. Aetna is partnering with Celebrity Chef Bobby Flay and others to conduct a 10 city competition open to the public to take home the title of America's Healthiest Cook and win $10,000 in kitchen appliances. Look out for Texas stops in San Antonio on October 2nd and 3rd, 2010 and Houston on October 9th and 10th. Original Source: Celeb chef weighs in on cook-off | Business Insurance.